Match ends, Marseille 0, Paris Saint Germain 2. Second Half ends, Marseille 0, Paris Saint Germain 2. Attempt missed. Neymar (Paris Saint Germain) left footed shot from the left side of the box misses to the right. Assisted by Kylian Mbappé with a through ball following a fast break. Goal! Marseille 0, Paris Saint Germain 2. Julian Draxler (Paris Saint Germain) right footed shot from the right side of the six yard box to the centre of the goal. Assisted by Neymar following a fast break. Attempt blocked. Nemanja Radonjic (Marseille) right footed shot from the left side of the box is blocked. Assisted by Valère Germain. Luiz Gustavo (Marseille) is shown the yellow card. Kevin Strootman (Marseille) is shown the yellow card. Substitution, Marseille. Kostas Mitroglou replaces Lucas Ocampos. Hand ball by Kylian Mbappé (Paris Saint Germain). Substitution, Paris Saint Germain. Adrien Rabiot replaces Ángel Di María. Jordan Amavi (Marseille) hits the left post with a left footed shot from outside the box. Assisted by Kevin Strootman. Attempt missed. Kylian Mbappé (Paris Saint Germain) right footed shot from outside the box is too high. Assisted by Neymar with a cross following a corner. Attempt saved. Thomas Meunier (Paris Saint Germain) right footed shot from the centre of the box is saved in the top right corner. Corner, Paris Saint Germain. Conceded by Steve Mandanda. Attempt saved. Kylian Mbappé (Paris Saint Germain) right footed shot from a difficult angle on the right is saved in the centre of the goal. Assisted by Ángel Di María. Substitution, Marseille. Nemanja Radonjic replaces Morgan Sanson. Substitution, Marseille. Valère Germain replaces Florian Thauvin. Attempt blocked. Lucas Ocampos (Marseille) right footed shot from the centre of the box is blocked. Assisted by Jordan Amavi with a cross. Corner, Paris Saint Germain. Conceded by Jordan Amavi. Attempt blocked. Morgan Sanson (Marseille) right footed shot from outside the box is blocked. Corner, Paris Saint Germain. Conceded by Boubacar Kamara. Goal! 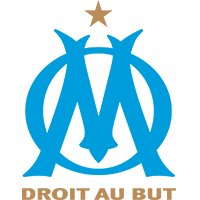 Marseille 0, Paris Saint Germain 1. Kylian Mbappé (Paris Saint Germain) right footed shot from the right side of the box to the bottom left corner. Assisted by Ángel Di María following a fast break. Attempt missed. Florian Thauvin (Marseille) left footed shot from outside the box misses to the right. Assisted by Kevin Strootman. Substitution, Paris Saint Germain. Kylian Mbappé replaces Eric Maxim Choupo-Moting. Attempt blocked. Adil Rami (Marseille) right footed shot from the centre of the box is blocked. Attempt missed. Luiz Gustavo (Marseille) header from the centre of the box is close, but misses to the right. Assisted by Dimitri Payet with a cross following a corner. Corner, Marseille. Conceded by Alphonse Areola. Attempt missed. Neymar (Paris Saint Germain) left footed shot from the left side of the box is close, but misses to the right. Assisted by Ángel Di María. Offside, Marseille. Morgan Sanson tries a through ball, but Florian Thauvin is caught offside. Corner, Marseille. Conceded by Marquinhos. Delay in match (Paris Saint Germain). Corner, Paris Saint Germain. Conceded by Bouna Sarr. Attempt saved. Ángel Di María (Paris Saint Germain) left footed shot from outside the box is saved in the bottom right corner. Assisted by Julian Draxler. Second Half begins Marseille 0, Paris Saint Germain 0. First Half ends, Marseille 0, Paris Saint Germain 0. Attempt missed. Eric Maxim Choupo-Moting (Paris Saint Germain) right footed shot from the centre of the box misses to the left. Corner, Marseille. Conceded by Stanley N'Soki. Attempt saved. Lucas Ocampos (Marseille) header from the left side of the six yard box is saved in the top right corner. Assisted by Dimitri Payet with a cross. Attempt missed. Luiz Gustavo (Marseille) left footed shot from outside the box misses to the left. Corner, Marseille. Conceded by Thomas Meunier. Attempt missed. Eric Maxim Choupo-Moting (Paris Saint Germain) right footed shot from the right side of the box misses to the left. Assisted by Ángel Di María. Attempt blocked. Florian Thauvin (Marseille) left footed shot from outside the box is blocked. Assisted by Kevin Strootman. Corner, Marseille. Conceded by Thilo Kehrer. Attempt missed. Florian Thauvin (Marseille) header from the centre of the box misses to the right. Assisted by Jordan Amavi with a cross. Attempt missed. Bouna Sarr (Marseille) right footed shot from outside the box misses to the left. Assisted by Kevin Strootman. Attempt missed. Julian Draxler (Paris Saint Germain) right footed shot from the centre of the box is too high. Assisted by Neymar following a corner. Offside, Paris Saint Germain. Neymar tries a through ball, but Thomas Meunier is caught offside. Offside, Paris Saint Germain. Thilo Kehrer tries a through ball, but Eric Maxim Choupo-Moting is caught offside.